Trying to fully grasp the complexity of Quiet Confidence – the new record by Liverpool trio, Ninetails – is literally impossible. Last month, we reviewed the mesmerizing Radiant Hex; an absolutely gorgeous, complex, and colourful tune which, without the rest of the album to compare to, we said was likely to appeal to fans of Deptford Goth and James Blake. Though the song fits perfectly with the rest of the album, the above comparisons do not. The Liverpool trio came to prominence last year following plays on Radio 1 and praise from online and national media, such as being included in The Independent’s Sounds of 2013. Their new album builds on this momentum, as the band experiments with a wealth of ideas and sounds to create something drenched in beauty and full of expansive, iridescent depth. Quiet Confidence consists of 7 tracks, clocking in at just over 32 minutes. However, you’d be forgiven if you thought the album was made up of 20+ tracks. Select any one of these tracks and you’ll find more happens in those tiny minutes than most bands will create over an entire career. Quiet Confidence is best enjoyed when the listener turns off the logical part of their brain, goes along for the ride, and immerses themselves in the sound. Equal parts electronic and organic, the production features innumerable layers of sound including blips, acoustic drums, chimes, bells, classical piano, folky melodies, jazzy horns, and ambient field recordings, capped off with – for the most part – obscured, reveberated vocals, and of course, loads of production warping. The brilliant Radiant Hex opens proceedings (read our review), which is the most immediately accessible and memorable of the 7 songs. Just try to make sense of An Aria; a journeying track in every way, which begins with an R&B vocal sample before introducing twin-guitar leads, hushed vocals, and later, a section made up of gorgeous, rolling piano atop of an ambient field recording. Incredible. The excellent O For Two is a progressive piece characterized by its clean, chorus-effected guitar melodies, backed by a fat bass line, peppered with Prince-esque vocal melodies, and, again, dense layers of ambient sound. With its jaw-dropping arrangement, O For Two is yet another tune that requires many listens to fully absorb. And then there’s Quiet Confidence / Pure Utopian Moment, which begins as an unusual progressive-rock piece that would make fans of Ulver proud with its cinematic landscapes paired with low detuned metal guitars, which are then bizarrely paired with wind-chimes and glistening strings. Aside from Radiant Hex, this track is the most immediately memorable and also strongest, vocally. The second half sees the song move into a more ambient and electronica area with French-horns and the kind of pitched-shifted vocal treatment found in much of today’s dance and electronica. The sporadic and exploratory Hopelessly Devoted is next and calls to mind the adventure and unpredictable nature of Devotchka and Sound Advice favourites, Among Brothers (check out the brilliant Jollica). The initially horn-led final track, Sinn Djinn is an instrumental piece, which grows in intensity, eventually transforming into a noise piece. The ambient guitar noise (think Explosions In The Sky), manic horns, and mournful violin melody that emerge create a dissonance and weight, ending the album on a rather intense note. 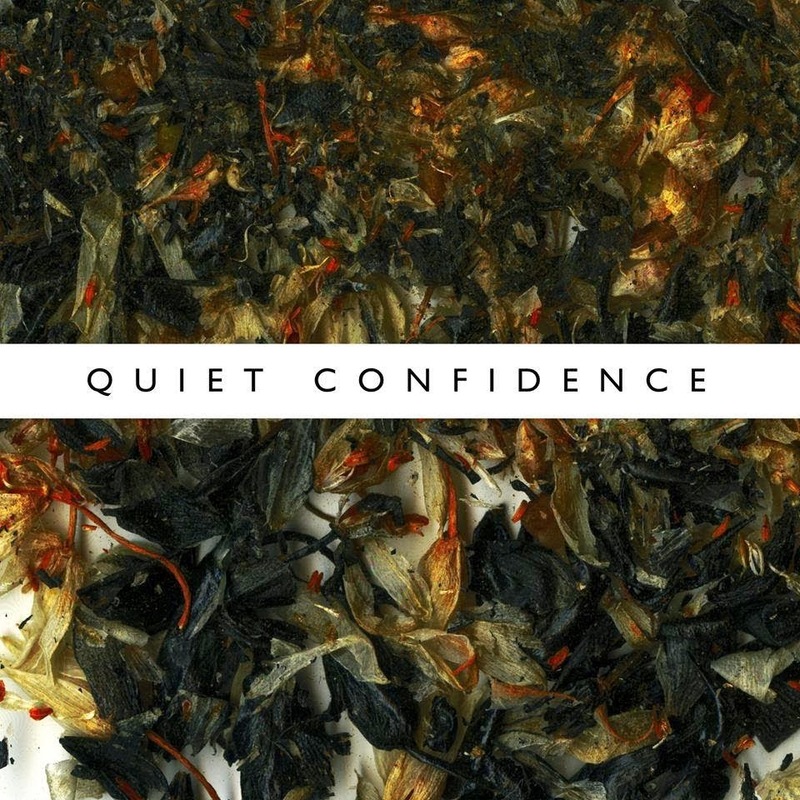 An abstract thing of wonder and beauty, Quiet Confidence will be released on 10 March, 2014 through Pond Life.